Although window cleaning forms the base for our business we quite often get to do other things that use the same access skills – particularly when it comes to heights. 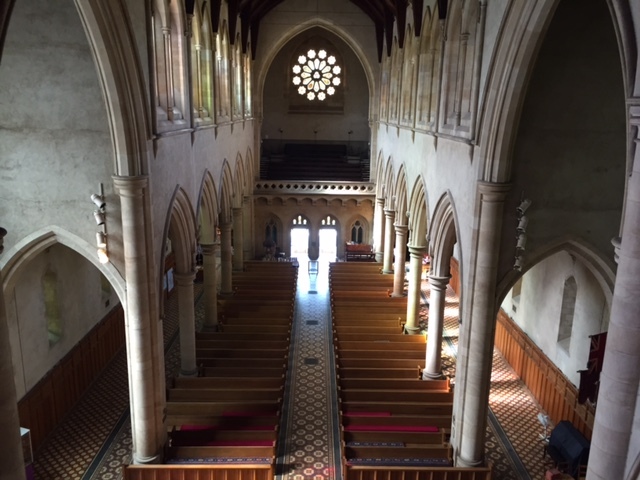 We recently were called upon to clean the Rood – the large cross inside the St Peters Cathedral. 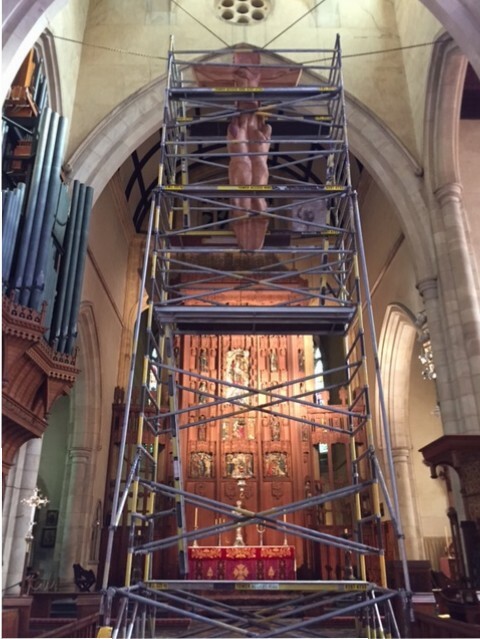 As we could not get access equipment up the small steps we had to use scaffold to get the 9 metres up to dust and wipe the cross. It was quite a tight fit for the cleaning scaffold but once it was up we took no time at all tidying up the wooden cross.